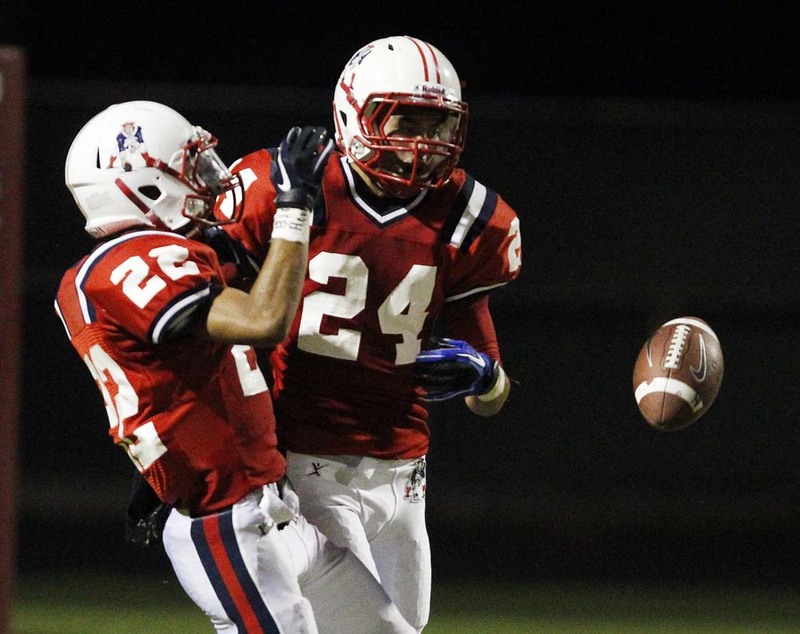 JOHN LOCHER/LAS VEGAS REVIEW-JOURNAL Shamar Carroll, left, and Jeremy Lagasca of Liberty High School both drop the ball after bumping into each other while trying to catch a kickoff from Arbor View at Liberty High School in Henderson, Nev. Friday, Aug. 26, 2011. 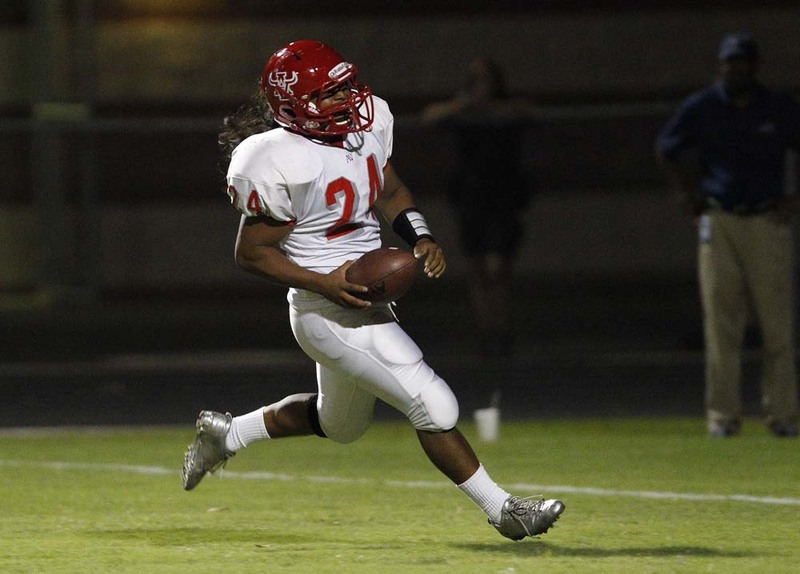 JOHN LOCHER/LAS VEGAS REVIEW-JOURNAL Donne Gaskin, 17 white, of Arbor View High School makes a touchdown against Liberty High School during their game at Liberty High School in Henderson, Nev. Friday, Aug. 26, 2011. 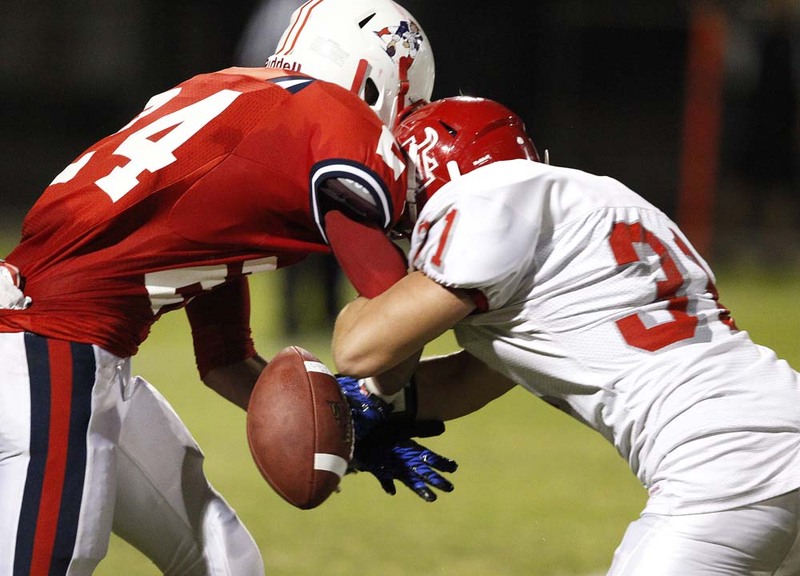 JOHN LOCHER/LAS VEGAS REVIEW-JOURNAL Alex Key of Arbor View High School, right, causes Jeremy Lagasca of Liberty High School to fumble during their game at Liberty High School in Henderson, Nev. Friday, Aug. 26, 2011. 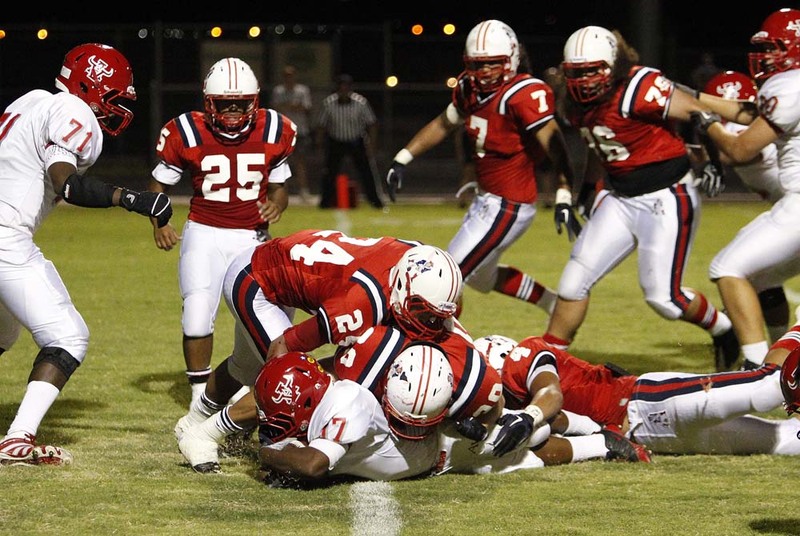 JOHN LOCHER/LAS VEGAS REVIEW-JOURNAL Liberty High School quarterback Kai Nacua, right, avoids getting tackled by Drew Purciful of Arbor View High School during their game at Liberty High School in Henderson, Nev. Friday, Aug. 26, 2011. 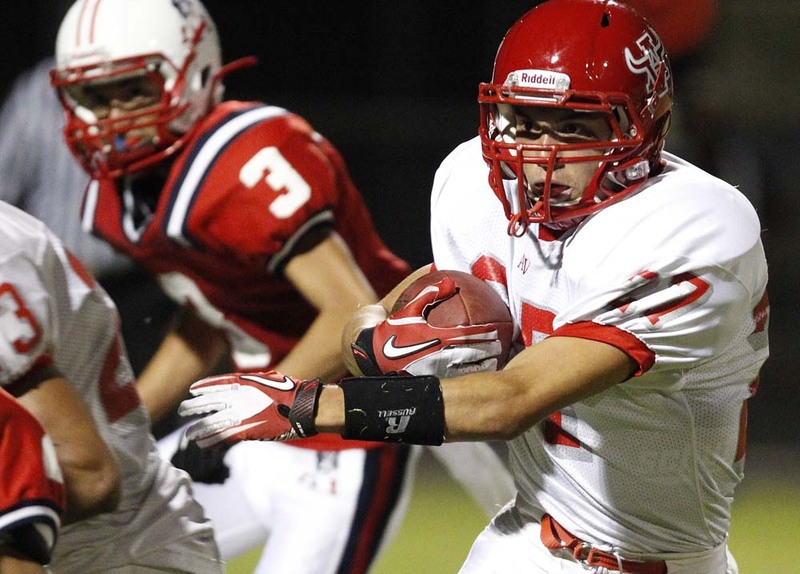 JOHN LOCHER/LAS VEGAS REVIEW-JOURNAL Christian Rodriguez of Arbor View High School scores a touchdown against Liberty High School during their game at Liberty High School in Henderson, Nev. Friday, Aug. 26, 2011. 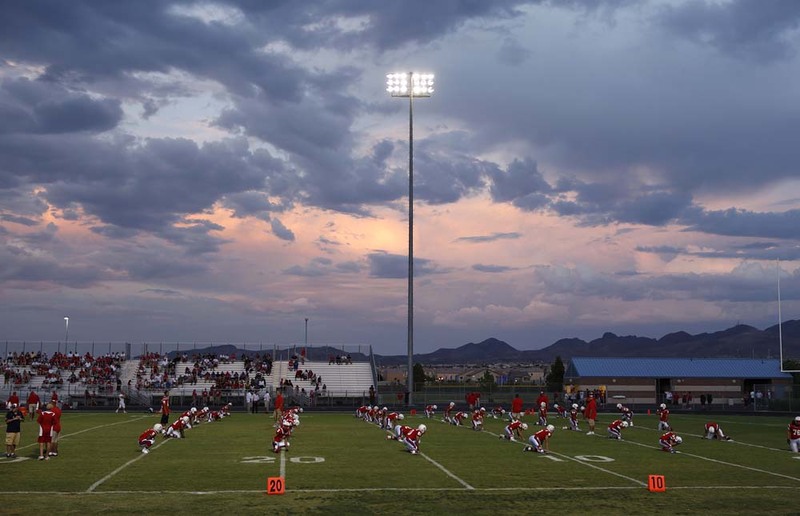 JOHN LOCHER/LAS VEGAS REVIEW-JOURNAL Liberty High School players warm up before their game against Arbor View High School at Liberty High School in Henderson, Nev. Friday, Aug. 26, 2011. 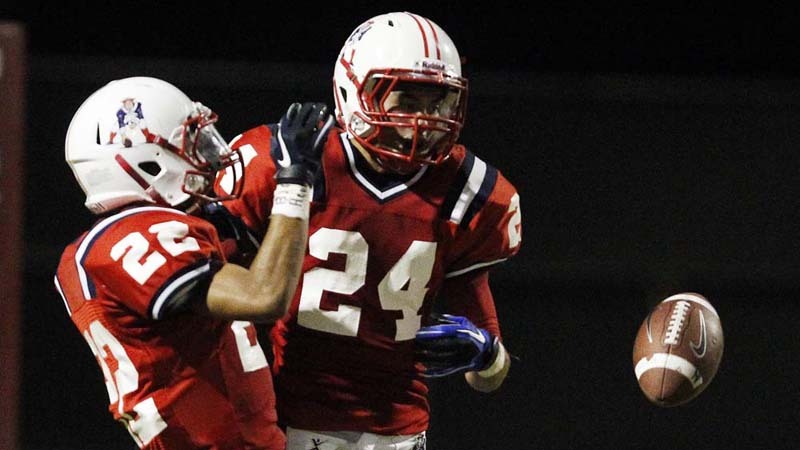 JOHN LOCHER/LAS VEGAS REVIEW-JOURNAL Liberty High School players, including Brandon Moreno, 3, prepare to do a dance before their game against Arbor View High School at Liberty High School in Henderson, Nev. Friday, Aug. 26, 2011. 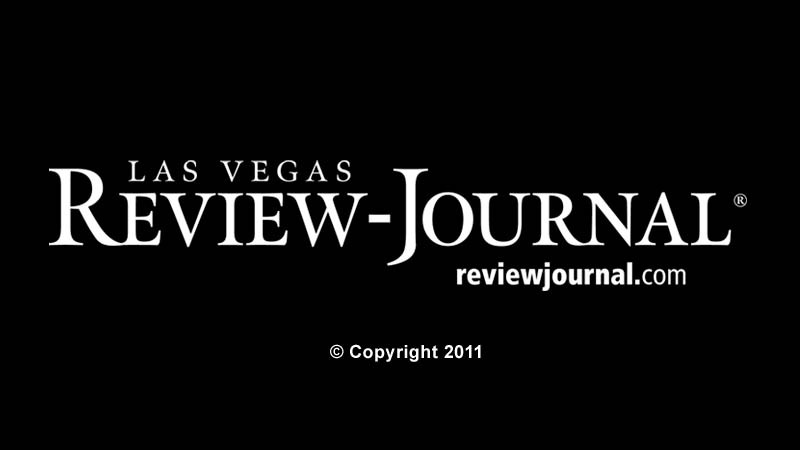 JOHN LOCHER/LAS VEGAS REVIEW-JOURNAL Joey Comish of Arbor View High School runs after making an interception against Liberty High School during their game at Liberty High School in Henderson, Nev. Friday, Aug. 26, 2011. 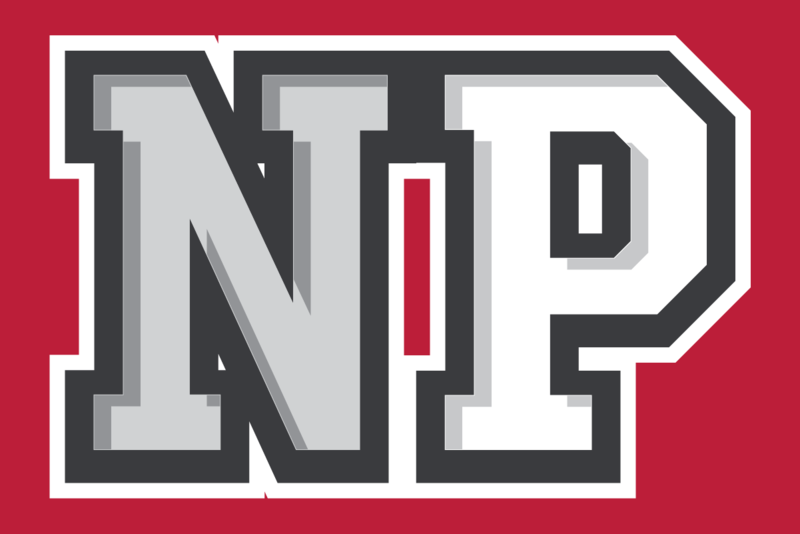 Arbor View scored a touchdown on the next play. 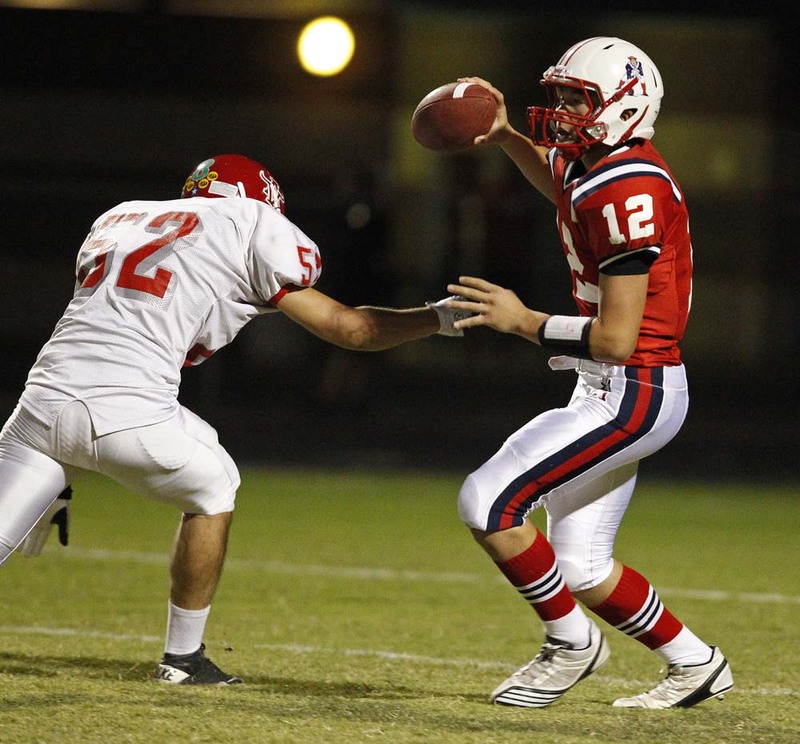 Photos from Arbor View High School vs. Liberty High School, Friday Aug. 25, 2011.